Are you looking to edit video using only your browser, but you’re unsure of the best tools out there to help you accomplish that? 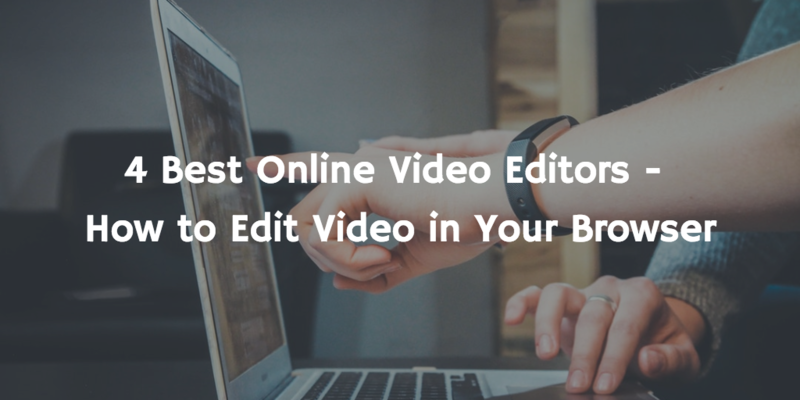 We’ve done the research for you and found the best of the best online video editors, so you don’t have to! Watch the video below for all the details. We researched and tested 7 different tools, but overall there were 4 that were the best in terms of usability and features. Headliner is probably one of the best options out there if you’re looking to create video content using only your browser. 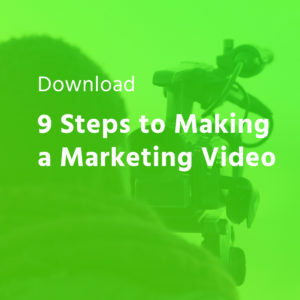 You can create a variety of specific types of videos, or start from scratch. Where Headliner really shines is the ability to create social videos easily and quickly. Here’s the best part–Headliner is completely free! You have full access to all the tools and features without paying a single dime. For this reason alone, it’s worth considering the tool to create simple business videos. Headliner is mostly aimed at those looking to create social media videos. You can choose from templates like audiograms (animated audio waveforms) and video transcripts. The instant audiogram is probably one of Headliner’s best features. This type of video is great for podcasts–using audio segments from episodes. Headliner also is great for creating automatic closed-captions in your videos. We’ve found that they’re not perfect and might require some tweaking, but the ability to create automatic closed-captioned videos using the audio is still an awesome feature. Here’s a quick video walkthrough of Headliner to help you get started. ClipChamp’s online editor Create offers users the feel of a traditional video editor, all done within your favorite browser. The user interface feels very much like it was borrowed from iMovie or Final Cut Pro X, so it feels very familiar, yet it’s simple to use for those who’ve never touched a video editing platform. Create’s best quality is its easy to use interface. It really is insanely simple, and even a video editing novice can feel right at home using it to create videos. With an almost non-existent learning curve, you can start creating regular video content right away. Like most online video editors, Create gives you access to a library of stock content you can use in videos–music, clips, photos, etc. So even if you don’t want to shoot anything, you can start creating videos right away using some well chosen stock assets. Create is free…ish. The free version has limited features, and is really just for experimenting with the tool. If you really want to use it to create business videos, you’ll need to fork over some cash in the form of a monthly subscription. Here’s a simple video overview of Create from ClipChamp. Another great option for an online video editor is Wave Video. It shares the same familiar editing timeline of most editing tools, but also brings some cool features to the table that may convince you to ignore their competitors. Wave Video is very big on creating videos for social media. It has a selection of social templates you can choose from that are platform and resolution specific, and with one click, you can optimize your video for that platform (square for example, or vertical for Instagram). In addition, Wave is great for teams or agencies looking to create regular video content. You can upload your brand’s logo and automatically add it as a watermark to your videos, save a color scheme that matches your branding, and more. Like ClipChamp’s Create, Wave Video is free, but to a point. You’ll have to deal with an annoying watermark and exporting limitations in the free version. If you want to unlock the full feature set (and access to their library of stock assets), you’ll need to pay a monthly subscription–starting at $10 for individuals, or $39 for businesses. Here’s a helpful video tutorial on using Wave Video. You’ve probably never heard of Adobe Spark before, but if you’re paying for a Creative Cloud subscription, you already have access to it. Spark lets you create videos in a very simple and unconventional way, and packs some other features in with it. Unlike every other online video editor out there, Spark doesn’t use a traditional editing timeline in the interface. 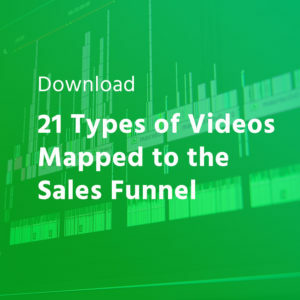 Rather, you start by choosing a template from a list–broken out by type of video (educational, promotional) and the kind of story you want to tell. You’re then directed to the main interface, where the “timeline” is a collection of squares, similar to a storyboard. Each board comes with a text prompt that suggests what visuals you should add on-screen (like a call to action at the end, for example). Spark has a great selection of music tracks and other stock assets, and since you’re technically already paying for them if you have a Creative Cloud subscription, you can drop them right into your video without having to worry about paying any extra costs. If you’re already a Creative Cloud subscriber, Adobe Spark is definitely worth checking out, especially as most other online video editors are going to end up costing money in the end if you really want to use it to create business videos. Here’s a tutorial on creating video with Adobe Spark. Out of all the research and testing we did, these 4 tools stood out the most to us for their ease of use, simplicity, and feature set. If you need an online video editor to edit your next business video, these options will work for you!